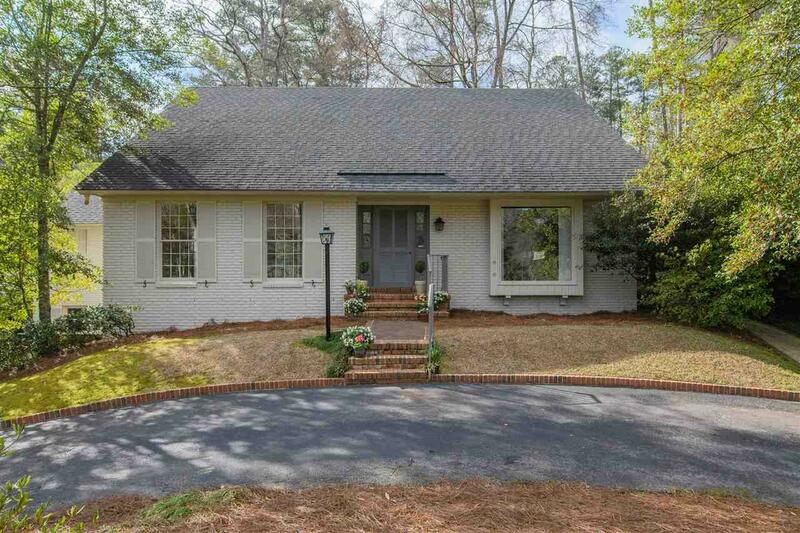 This wonderful Crestline home has lots of curb appeal as well as 3 bedrooms and 3 full bathrooms. The double cul-de-sac location provides privacy while also having the convenience of being close-in to Crestline Village and Jemison Trail. The main level boasts plenty of storage, multiple living spaces, and a bricked back patio that spans almost entirely across the back length of the home. The kitchen hosts ample pantry space and is equipped with all appliances including a stainless Sub-Zero refrigerator. Built-ins are present throughout the house including the laundry room and large den providing plenty of shelving and storage. The den is a perfect gathering spot complete with a fireplace. The master is on the main level as well and has his and her bathrooms and closets. Upstairs hosts the other two bedrooms connected by a large Jack and Jill bathroom with two separate vanities and commodes. There is a two-car garage and plenty of storage in the unfinished basement.